Orang Asli is a generic term used to describe the original peoples of Malaysia. In Malaysia, today, there exist 18 tribes of indigenous folk resident both on Peninsular Malaysia and in Sabah and Sarawak. These tribes are classified into three main groups on the basis of their languages and customs. These three main groups include the Semang (or Negrito peoples) found in the northern part of the Peninsula, the Senoi people resident in the central region and the Proto-Malay peoples who live in the southern regions of the country. The Orang Asli have for centuries inhabited the interior regions of Malaysia. 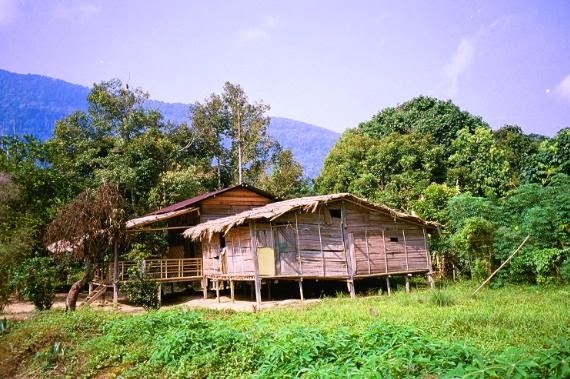 However successive waves of immigration and growth and development like the arrival of Indian and Chinese traders to Malaysian shores, the rise of the Malay sultanates, and the invasion of the British have succeeded in drawing the Orang Asli out from their native environs. In fact, as Malaysia grew into its present developed form, much Orang Asli land was encroached upon and these indigenous peoples like their ilk elsewhere in the world faced tremendous hardships. The Malaysian government has tried to address this situation by setting up organizations like the Jabatan Hal Ehwal Orang Asli(Department of Orang Asli affairs- JHEOA) to look after the interests and welfare of these indigenous Malaysian peoples. This organization works to improve the lot of the Orang Asli by alleviating their living conditions and promoting good health and education amongst them. The government has further passed various legislations like the National Land Code 1965, Land Conservation Act 1960, Protection of Wildlife Act 1972, National Parks Act 1980, and most importantly the Aboriginal Peoples Act 1954, all of which aim to uplift the Orang Asli. Currently the Orang Asli constitutes approximately 0.5% of Malaysia’s population. These native people continue to largely reside in rural areas and communicate in their own native tongues essentially homegrown languages like Che Wong, Lanoh, Jahai, Besisi, Bateq, Kensiu, Kintak, Menriq and others. However, as compared to the rest of the Malaysian population, they suffer high poverty rates and have lower levels of literacy and life expectancy. The Orang Asli in recent years have also begun to interact with various other sections of Malaysian society as they have begun to embrace religions like Islam and Christianity, in addition to their core animistic beliefs. The native folk are also today celebrated and appreciated for their native skills like basket weaving, wood carving and beading fashion jewelry and other decorative items. These hand-crafted products serve as unique souvenirs from Malaysia and hold much appeal among visitors and locals alike. If you are somewhat curious about these indigenous peoples of Malaysia you should perhaps plan of paying a visit to one of the two museums dedicated to the Orang Asli, which are located in Melaka(the Aborgines museum near Ayer Keroh) and the Orang Asli Museum at Gombak outside Kuala Lumpur. 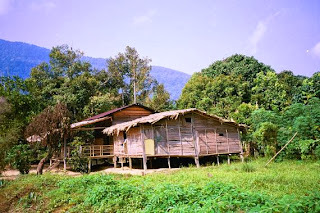 Or then you could always visit an authentic Orang Asli settlement at one of the various national parks and reserves in Malaysia like the Gunung Malu National Park or then the Royal Belum State Park.